My mind, as of late, has been focused like many others, on March 31st, 2013: RESURRECTION SUNDAY! So when reading in First Peter this past week, and starting a Bible Study with my wife Dianne, I was drawn by GOD’S SPIRIT to the HOLINESS OF GOD and the events that Christianity has named–EASTER. 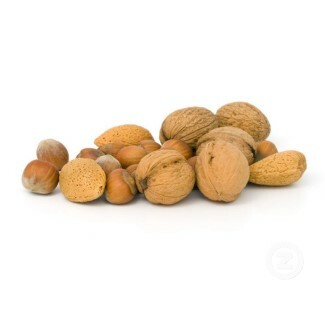 Where did the Expression “In a Nutshell” come from? 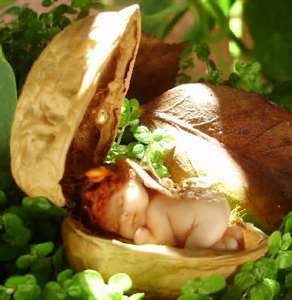 I thought I might insert the phrase into this blog for an ‘attention getter’, but later thought…culturally, would everyone understand the meaning; what do “nutshells” have to do with “spiritual re-birthing”? The idea of having a detailed amount of information about the FACTS, neatly contained in a small, compact nutshell has somewhat evolved to–the idea of having just the facts you need to make a decision, minus the “superfluous waffle.” In a nutshell became connected to the idea of the information itself becoming compacted. [References: Forsyth M. 2011. The Etymological Icon Books]. Where to begin? When I used the phrase, “re-birthing”, I’m referring of course to the phrase we perhaps hear thrown around in Christian circles… without any emphasis or concern of who’s hearing the message and the understanding: “to be born again”. In my Word Detective investigation this past week, I found some interesting facts in the Older Testament (OT). The birth of ISAAC was a wonderful, Biblical, and practical example of “birthing” (Galatians 4:22-23. 29; and John 3:36). JESUS is saying in John 3:36, that those who BELIEVE in Him have (not will have) everlasting life. To receive eternal life is to JOIN GOD’S LIFE, which by nature is eternal. So, eternal life begins at the moment of spiritual rebirth. Isaac’s Birth was Wonderful Because…. By all natural appearances, Isaac shouldn’t have been born. His parents were far to old to bear children. Yet, GOD brought Isaac to birth in spite of…Debate, Doubt, Dysfunction, Death of the natural human reproductive systems (Genesis 15:1-4; 15-19; 18:9-14; 21:1-7). AND, Jesus died on the cross to put US in the family! It begins WHEN WE OPEN OUR EYES TO SEE JESUS. With GOD’S GRACE (unmerited favor). when you look, you will see ‘HIM WHO IS WONDERFUL” and have the opportunity to reach out to Him. YOU MUST BE “BORN AGAIN” !!! You must be spiritually “birthed” !!! Your new birth begins your new life; one who experiences TRUE HOLINESS for the first time. You begin to KNOW GOD in the “re-birthing”, EXPERIENCING HOLINESS IN “HIM WHO IS WONDERFUL”. “Therefore, prepare your minds [be “ALERT”] for action; be self-controlled [‘disciplined’]; set your hope [focus] fully on the grace to be given you when Jesus Christ is revealed. As obedient children, do not conform to the evil desires you had when you lived in ignorance. But just as He who called you is HOLY, so be holy in all that you do, for it is written: “BE HOLY, BECAUSE I AM HOLY” (1 Peter 1:13-16 NIV). [The Word Detective added the brackets [ ] for emphasis]. The main idea behind HOLINESS is not moral purity but it is the idea of “apartness”–the idea that GOD is separate, different from His creation, in His essential nature and perfection of His attributes. BUT instead of building a wall around His “apartness”, GOD call us into the “birthing process”, to come to Him and share His apartness. He says to us, “BE HOLY, FOR I AM HOLY.” You have become “sanctified”. HOLINESS is not so much something we possess, as it is something that possesses us after we come to JESUS in the “SPIRITUAL REBIRTH”–Born again!! The promise of god’s Word–the Bible and not our FEELINGS–is our authority. The TRAIN pictures above, illustrates the RELATIONSHIP we receive in the “spiritual re-birthing” among FACT (God and His Word); FAITH (our trust in God and His Word), and FEELING (the result of our FAITH and OBEDIENCE) ~ John 4:12. The TRAIN will run with or without the caboose. However, it would be useless to pull the train by the caboose. We place our FAITH (trust) in the trustworthiness of God and the PROMISES of His Word. ~(“Don’t Depend On FEELINGS” was taken from The FOUR SPIRITUAL LAWS of Campus Crusade for Christ.) ~ My wife and I were both led to Christ by this Tract in August, 1972. I believe it is a GOD-GIVEN condition at your “SPIRITUAL BIRTHING’. You might not recognize holiness in your life, nor others around you. BUT that doesn’t change the “birthing process”. “I can guarantee this truth: A single grain of wheat doesn’t produce a thing unless it is planted in the ground and dies. If it dies, it will produce a lot of grain” (GOD’S WORD TRANSLATION). RE-BIRTHING is a High Place of dying out, being crucified with Christ and burying. Now BURYING may seem more like a horrible place, but remember, we’re talking about “a spiritual re-birth of self”–our mind, personality; who we are. Your physical body is just a tent where you reside; it wears out eventually, but who you really are doesn’t! WHY? Because burying our old life opens the way for us to fall so much in LOVE with the Savior, to begin a REAL and RADICAL ROMANCE WITH THE REDEEMER! The picture of “burying” here is beautiful to my eyes, then again I’m a visual person. Our RELATIONSHIP with all other “spiritual suitors or spouses” must end through spiritual death. Only the will of JESUS establishes A CLOSE RELATIONSHIP WITH US. What Is A Spiritual Suitor? — Perhaps other Christians? (1 Corinthians 2:2). “I have been crucified with Christ [in Him I have shared His crucifixion]; it is no longer I who live, but Christ (the Messiah) lives in me; and the life I now live in the body I live by faith in (by adherence to and reliance on and complete trust in) the Son of God, Who LOVED ME and gave Himself up for me” (Galatians 2:20 AMP). The SELF we are to be freed from by death is not the first TRUE SELF, fashioned in GOD’S IMAGE. It’s a FOREIGN SELF, fashioned after the Satanic spirit clutching hopelessly to be GOD. It, therefore, manifests itself in …. He has already delivered us from the rival suitors, to ANOTHER! JESUS HIMSELF has already paid the price; made the Sacrifice. 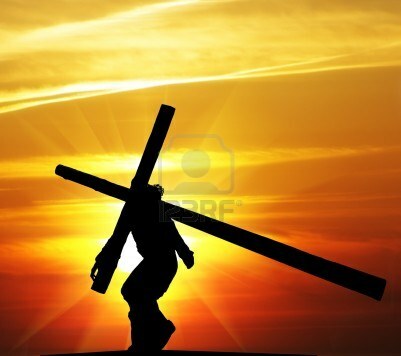 He Himself took the Cross, bore ALL the hardness of real death and real burial. JESUS has experienced the grief of death, so that by dying with Him, we experience the Grace, even the Glory of dying out to old and being re-born to the new. Along with the apostle Paul, we can gladly say on RESURRECTION SUNDAY…and on any given day of the year...Galatians 2:20. VERSE 1: Alas, and did my Savior bleed? And did my Sovereign die? Would He devote that sacred head For someone such as I? VERSE 2: Was it for crimes that I have done, He suffered on the tree? Amazing pity! grace un-known! And love beyond degree! Here, Lord, I give myself away, ‘Tis all that I can do! I received my sight, And now I am happy all the day! MY STORY–Learning to Perfect the Perfection. Dianne and I got married in September 1964, almost 49 years ago. In fact, we’ve been saving our blessed abundance for the past three years; in order to be able to celebrate our 50th wedding Anniversary. The analogy of marriage is very fitting in reflection of “back when…” We get married in a moment of commitment but it takes a lifetime to learn to live with each other. It’s similar with entire sanctification (Holiness): A PERFECTION OF COMMITMENT and HEART-CLEANSING IN A MOMENT. It takes a lifetime, however, learning to perfect the perfection. “THEREFORE, SINCE these [great] promises are ours, beloved, let us cleanse ourselves from everything that contaminates and defiles body and spirit, and bring [our] consecration to completeness in the [reverential] fear of God” (2 Corinthians 7:1 AMP). “Like newborn babies you should crave (thirst for, earnestly desire) the PURE (unadulterated) spiritual milk, that by it you may be nurtured and grow unto [completed] salvation” (1 Peter 2:2). We who belong in the family of God have an advocate, “Jesus Christ the righteous” (1 John 2:1 NKJV), who has paid the penalty to forgive our sins by what He did on the cross. He wants to SAVE US…to be our personal attorney and Savior. But remember, He is available only to those who call on His name. If you have the slightest doubt that you are HOLY–that you have ever personally invited Him into your life, do it now! Dear heavenly Father, thank You for sending Jesus, Your Son, to die on the cross for my sins. I know I am a sinner and that only He, the resurrected Christ, can forgive and save me. Jesus, I invite You into my life to become my Savior and Lord. I give my life to You. In Jesus’ name I pray, Amen. If you prayed that prayer, “SPIRITUAL RE-BIRTHING” has taken place. That’s it in a nutshell! “So brace up your minds; be sober (circumspect, morally alert); set your hope wholly and unchangeably on the grace that is coming to you…[Live] as children of obedience [to God]; do not conform yourselves to the evil desires [that governed you] in your former ignorance [when you did not know the requirements of the Gospel]. But as the One Who called you is holy, you yourselves also be holy in all your conduct and manner of living. For it is written, You shall be holy, for I am holy” (1 Peter 1:13-16).